Science meets art in our Art & Tech Gallery on Level 3. 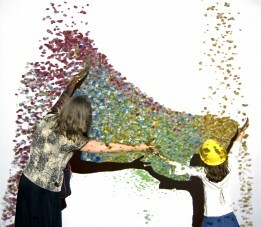 Spin colorful sand, merge your face with a friend’s, and watch digital butterflies alight on your arm. Our Art & Tech gallery proves science and technology can be a really beautiful thing!